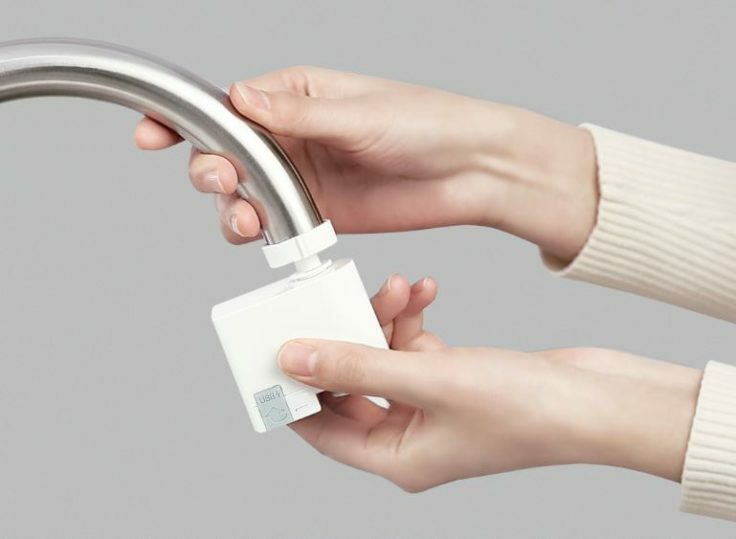 Xiaomi infrared sensor for the tap - save water and money? We stumbled across this product while browsing youpin.mi.com. Even if the idea is not entirely new, this model is probably interesting because of the price. While comparable attachements are often at $30 and more, and fittings with integrated sensor sometimes cost $50-100 or more, this attachment currently does not cost $16 in China. Does this make it interesting? An infrared sensor is installed, which detects movements and then lets water flow. If you hold your hands under the tap, water flows until you take it away again. This not only saves you a single hand movement, but also reduces water consumption in the long term. Occasionally, however, you also need continuous running water if you want to fill a glass/bottle, for example. For this you can adjust the water level by moving the second sensor on the side. Move your hand past the sensor once and water will run until you trigger the sensor again. The previous installation should be completed in a few simple steps. According to the manufacturer and the shop, the installation is “so simple that even women can do it”. With this statement, the part sells itself almost on its own. In China some things are probably still different than with us. 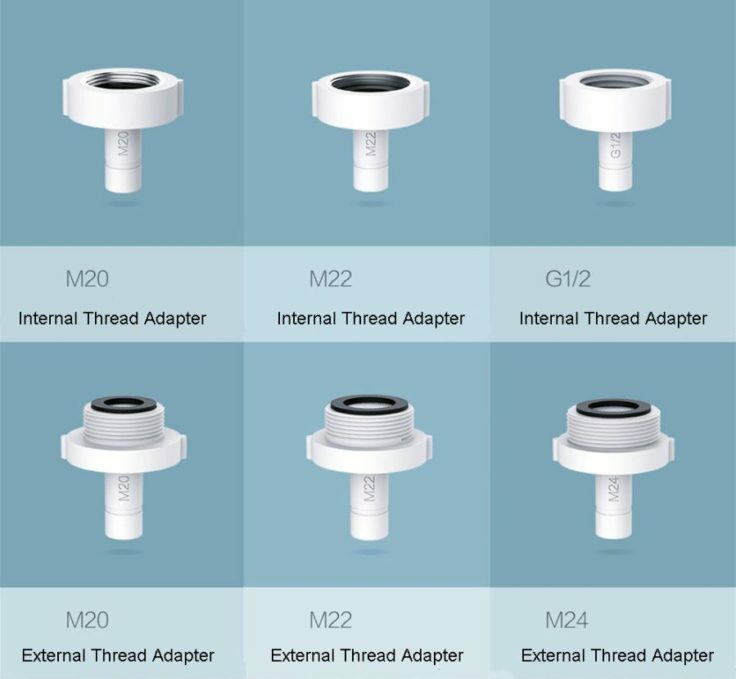 There are a total of six different adapters included in order to have the right one for every tap. There are three each with external and internal threads. The actual faucet must of course be turned on. The attachment itself runs on a rechargeable battery that can be charged via a micro-USB cable. According to the manufacturer, the battery will last for up to six months. This question remains. Do you want to install such a sensor? After all, it should fit in best with the bathroom or fittings. In white, the adapter looks nicer than the worst metal alternatives, but it doesn’t make the tap nicer. Of course there has to be enough space. And whether the water saving recovers the purchase price, we also can not judge. What do you think of that? 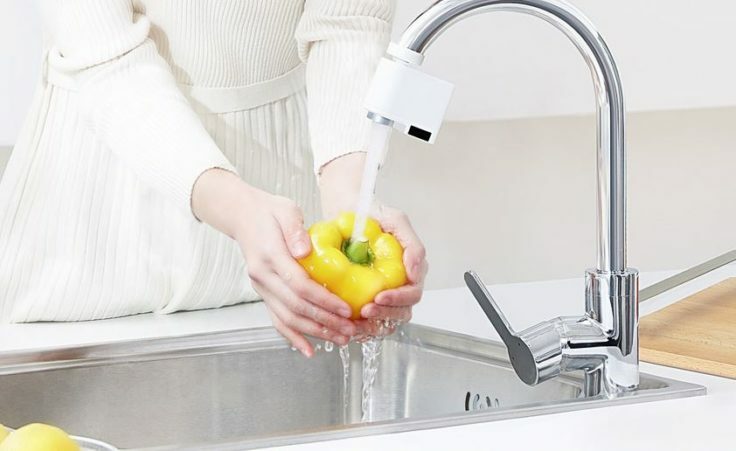 Have you always wanted an automatic faucet? Have you already installed something like this in your faucet? And what price is appropriate for such a gadget? Let us know. can someone send me their e-mail address?